The Alma Ata vision of comprehensive primary health care needs to continue to be fought for. Countries’ implementing comprehensive primary health care continues to be challenged by neoliberal health reforms and private sector interests. There are concerns the Declaration at Astana will not be as visionary as the original Alma Ata, with more of an emphasis on health insurance and less on comprehensiveness and the political economy of health. Conditions of employment (e.g. 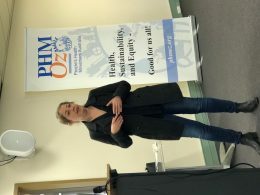 Gig economy) can make people sick – the Change the Rules campaign run by Australian Trade Unions is important and will be supported by PHM. Gender equity needs to be attended to in all employment condition advocacy. The implementation of welfare systems for unemployed people can have consider impacts on their health. The current approach of a cruel, convoluted, and dehumanising welfare system in Australia needs to be challenged. 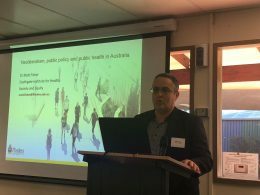 PHM Chair David Sanders was visiting Australia and so able to give a keynote address at the workshop. The local Australian Labor Party Federal MP Andrew Leigh who is an advocate of equity also came and addressed the group. Other PHM members Fran Baum, David Legge and Bel Townsend also presented on aspects of global capitalism, trans-national corporations and trade. Matt Fisher presented on the ideology of liberalism and why it is damaging to health. 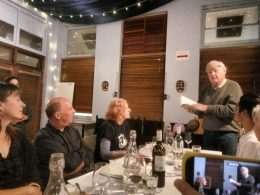 Peter Tait spoke about the ecological crisis the world is facing and the need for very urgent action to advert a crisis. One of the potential crises being conflict over food and water security. We were really pleased to have a strong representation from the Aboriginal community controlled health sector including Donna Ah Chee from Alice Springs and Pat Turner from the national peak body NACCHO. They spoke with passion about the need to promote Aboriginal Community Controlled Health Organisations and Aboriginal and Torres Strait Islander definitions of health and caring for the land for the whole community. 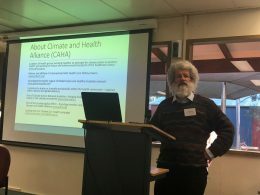 Perspectives on primary health care from around the world were presented by David Sanders on Africa, Don Mathieson on Papua New Guinea and Toby Freeman on Australia. One of the focus areas was on employment and health and we heard about the importance of gender, time and work (Lyndall Strazdins) and from the Australian Unemployed Workers Union (Owen Bennett) and from the Secretary of Unions ACT (Alex White). These presentations highlighted the health impacts of the gig economy and casual work.